I have been watching a lot of Hong Kong Cantonese TVB series. Most of them shows families and friends getting together to have steamboat. They will say something that sounds like, “ta pi lor’. I know ta means to do beat or to do something and lor is pot. But what is pi? The other day, I also ‘ta pi lor’ at home because I was in the Chinese New Year mood after I bought some tangerines. It was an impromptu steamboat dinner. I just boiled some soup with chicken and Chinese white cabbage. Grab a few things from the market and we have all we need to have an enjoyable meal. If you need Chinese steamboat recipe, you can find it on my other food blog. 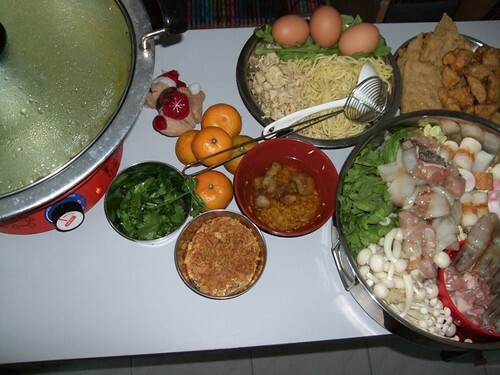 I also posted a Chinese New Year steamboat recipe in an older post on this blog. Enjoy ta pi lor, ok? i think steamboat is a very convenient and easy meal. 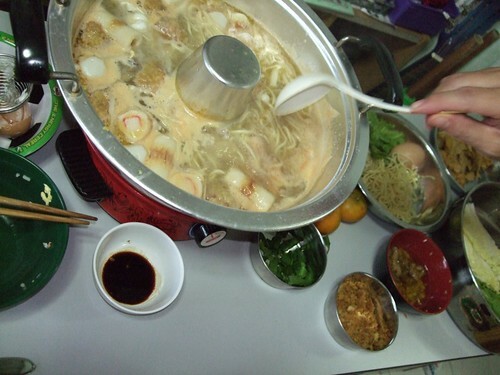 I always have steamboat when there is a family or friends gathering. I thought it’s “ta pin lor”? Maybe I’m wrong. Hi, I just came across your posting recently and I would like to add on the question. 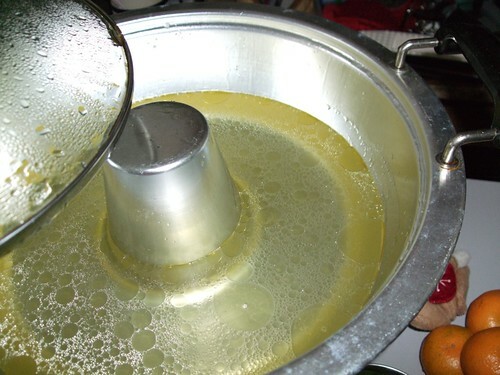 Actually “æ‰“è¾¹ç‚‰â€œor “Da3 Bian1 Lu2” is just simply means the steamboat pot itself. Didn’t you realize that the shape of the pot is such that the charcoal is burning in the centre and the soup is cooked on the side? Thus, “Da Pin Lou” in cantonese.